Welcome to the complete guide to gorilla tracking in Uganda and Rwanda. We have arranged sample packages for your trek. 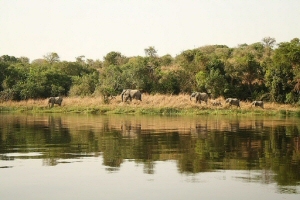 Please note that we can personalize each of these safaris to suit your needs. 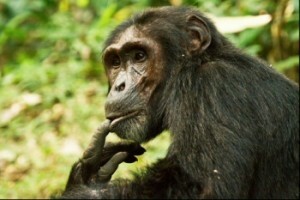 4 Days Gorilla and Chimpanzee Safari in Africa. 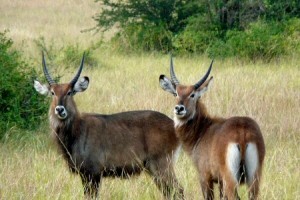 4 Days Uganda Jungle Safari Lake Mburo & Bwindi Forest. 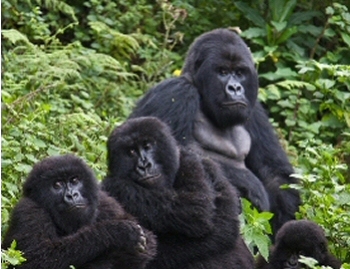 3 Days Rwanda Gorilla Safari. 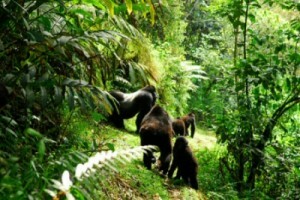 1 Day Gorilla Trekking In Rwanda. The key areas to your gorilla trekking safari are Volcanoes National Park and Bwindi Forest National Park, Depending on the situation, you can Trek the gorillas in Congo. 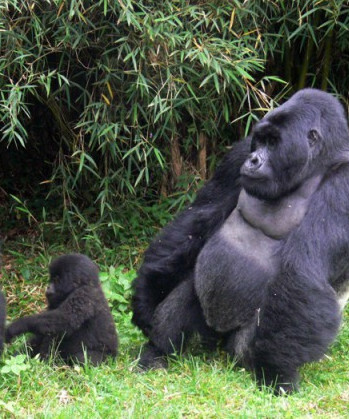 Find the best time to see the gorillas in all the 3 destinations. Uganda as a destination, has needy children, besides volunteering, you can help the children /orphans or even visit the local communities and donate whatever you can, from money to food and clothing. Comparison of the 2015 Uganda Gorilla Tracking Which is the finest place to conduct gorilla trek in Uganda / Rwanda? Which is more possible or affordable: Bwindi or the Volcanoes National Park, Which is easier to access, Is trekking in Rwanda better than in Uganda? You may refer to it as gorilla trekking / tracking, however it’s among of those thrilling, once in a life-time experiences you must enjoy while in Africa. The joy attached of setting eyes on these giant peaceful mountain gorillas is hard to describe. However in the same logic, that delightful one hour you will spend with the gorillas doesn’t come cheaply since a permit goes for US$600 in Uganda and US$1500 in Rwanda however it is uncommon to find a person who regretted the monetary expenditure. How many people are allowed to track the gorillas per day ? 8 people are allowed to visit a gorilla family each day. In Uganda, there are 10 habituated gorilla families in Bwindi Impenetrable Forest National Park, and therefore can host up to 80 people tacking the gorillas on a single day. Rwanda as well takes 80 people each day. All being equal, the Volcanoes National Park in Rwanda has a trivial edge over the rest since its gorillas are the mainly entirely habituated, and are commonly seen in bamboo than in the thick forest that makes photography much easier. Which Option is Cheaper? Uganda or Rwanda ? The biggest challenge with tracking mountain gorillas within Rwanda is actually the cost of the gorilla permit which goes for US$1500 than the US$600 per permit in Uganda. nonetheless, the pride of Rwanda is in its ability for a tourist to do gorilla trekking even in a day and even fly back to your home which is not possible in Uganda. 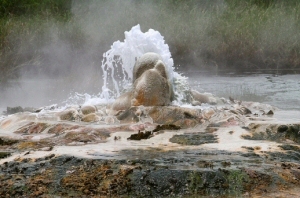 Volcanoes National Park is situated 116 kilometers from the capital Kigali and may be driven in only two hours. However, Bwindi is situated 500 kilometers from the capital Kampala or Entebbe Airport and it is an 8 hours drive or even more. For that reason, you will need a minimum of three days for a gorilla trek safari one to Bwindi impenetrable forest, the other for the gorilla trek, and then the third on the drive back to the capital Kampala or Entebbe. 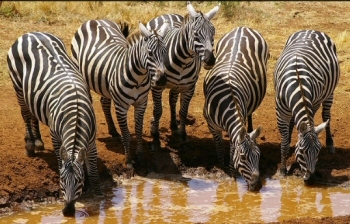 In case a tour operator is doing your tour package, they certainly have to think about this cost and then include it in your safari cost. nonetheless, the lengthy drive to Bwindi NP is quite fascinating with amazing views such as the Equator and Lake Mburo National Park (and at times Queen Elizabeth National Park with plenty of wildlife), beautiful terraced mountains having flowing rivers, plus various rural Africa. This isn’t the case when driving from Kigali in Rwanda to Volcanoes National Park. a number of tourists have as well decided to fly from Entebbe to either Kihihi or Kisoro towns close to Bwindi to track the mountain gorillas. A flight ticket goes for $250 with AeroLink in Uganda. For that case you’ll have to organize your transfer from this airstrip into Bwindi, and even the return. 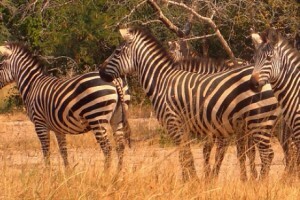 Visit any of the nearest tour operators for help to organize this tour. You will actually have to spend additional money on transport and more time to trek the gorillas in Uganda compared to that in Rwanda though this price is compensated for by the affordable gorilla permit. Other than, some parts of the roads leading to Bwindi Impenetrable NP aren’t as comfortable to traverse on although in Rwanda, you will drive on nice tarmac all the way to the headquarters of Volcanoes National Park. however, the roads from the park offices of Volcanoes to the start point of the gorilla trek can only be reached with a high 4WD safari vehicle. generally, the experience may differ because of the way the gorilla family actually behaves in the presence of the trackers, how far and long one has to trek before finding the gorillas and how the park staff carry on this exercise. Personally, I discovered that Rwanda gorilla trekking package is more fascinating than the Ugandan one on the day of tracking. May be I could say that this is due to the difference in the gorilla permit prices? However, on the day of the gorilla tracking day in Rwanda, you will definitely get more than that. At around 7:00am you will have an early tea or coffee as you are entertained by a traditional dance group – the SACOLA Traditional Dancers who will unveil to you the thrilling cultural traditions of Rwanda. on the Ugandan side, you will be able to enjoy this in the evening at an additional cost as the various locals living near the park entertain you with songs and dances. the drive from the capital Kampala to Bwindi NP is a very thrilling as you drive through one of the other national park (may be Kibale NP or Queen Elizabeth National Park renowned for its tree climbing lions plus various other large mammals, or even Lake Mburo National Park as well as stop by the Equator. 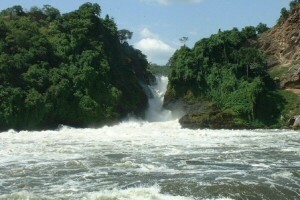 before you actually reach Bwindi you will have enjoyed the wonders of this ‘Pearl of Africa’ as is affectionately known. To most visitors, driving on paved eucalyptus avenues into the gorillas’ sanctuary isn’t the best choice. 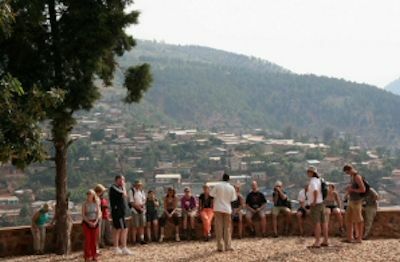 certainly many to tend to buy tour packages that combine Rwanda with Uganda, doing Gorilla treks in Rwanda and crossing over to Uganda to see Queen Elizabeth National Park for it’s BIG 5 animals and trek chimpanzees as well as other tours. Finally in case your not only traveling to see the gorillas, and you are interested in other safari activities, Rwanda is not be the ideal choice. The majority of the tourists have from time to time crossed into Uganda following their gorilla trek tour in Rwanda to check out other reserves such as Queen Elizabeth National Parks well gifted with a great profusion of wildlife not seen in Rwanda. This is perhaps why may people have endured with the lengthy drives into Bwindi and yet there is a quicker Rwanda alternative. At the finish of the day the eventual jury are people searching for the exact country to go to in orgder to trek gorillas, this is not Uganda, Rwanda or even the DR congo but your budget and your personal preference. 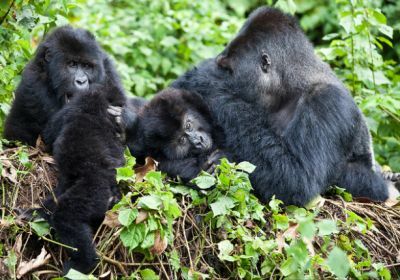 In case you are particularly interested in tracking mountain gorillas and not anything else, take the one day Rwanda trek, but if you are interested in more adventure, then enjoy the lengthy drive. Gorilla trekking in Uganda is a once in a lifetime experience that is continually growing in popularity with tourists from various parts of the world. Bwindi impenetrable forest and Mgahinga Gorilla national park have become famous and popular because of gorilla trekking. Mountain gorillas cannot be found in zoos. 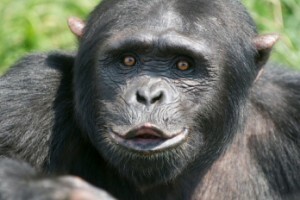 While their fellow primates, the chimpanzees, and other endangered species such as panda, and orangutans can be found in the zoo, gorillas can only be found in the wild. Specifically in Rwanda, Democratic Republic of Congo, and Uganda. More than half of the world’s gorilla population is found Uganda shared by Bwindi impenetrable forest, and Mgahinga Gorilla National Park. Gorillas became a popular tourist attraction during the “befriend a gorilla” campaign, and their popularity has not waned since then. Why and how is gorilla tracking different from viewing other species of wildlife? Tracking gorillas is very different from going on a game drive to view lions in savannah plains of Africa, or going to the zoo to see animals in cages doing tricks. Gorillas have to be habituated to adapt to human presence in their habitats, and only a few people can see them at a time. Uganda has a total of about 30 mountain gorilla groups only ten of these have been habituated and can therefore be visited by tourists. 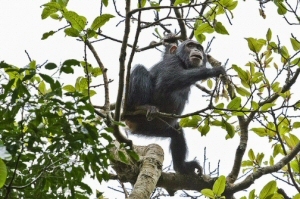 Habituated Nine groups are found in Bwindi, and one in Mgahinga. Habituation is a long process that can take up to two years. 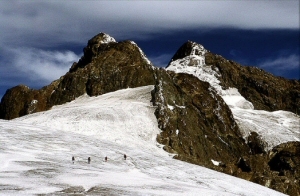 How is a trekking adventure planned and executed? First of all you should have a gorilla trekking permit. Then you can go ahead to ready yourself for your adventure by packing your lunch, you will need at least two litres of water, a hat, boots, tough pants, a long sleeved shirt, rain jacket, insect repellant, a back pack to carry most of these things, lots of batteries, and a walking. Trekking through the forest can be hard sometimes. After you have put all your gear together and are ready, you can proceed to the appropriate park office. 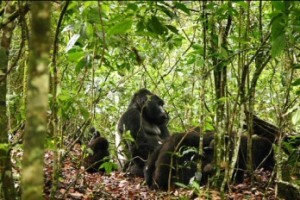 Where you meet is dependent on which group of gorillas you will be tracking. It can either be in the Buhoma, Ruhija, Rushaga, or Nkuringo area of Bwindi Impenetrable Forest. Each group of habituated mountain gorillas can only receive 8 visitors a day, for one hour. For some people, one day and one hour of this gorilla adventure is not enough so they schedule two days of gorilla trekking in Uganda. For others it’s an experience they can never tire of repeating, so they could come back to Uganda several times to d it again. Before you start on your gorilla tracking adventure, there is usually some orientation where guidelines on what to do and what not to do are given and you are assigned to your guide. Guides are important because they are experts on that particular group of gorillas you are going to track and can answer all your questions. Most time the guides were part of the habituation of the gorilla grip they are assigned to so they are a fountain of information and knowledge, know the habits and movement patterns of the group and will lead you to find them in the shortest time possible. Average tracking time is about 8 hours. The hikes can be tiring but the scenery as you move through the forest is amazing and breathtakingly beautiful. 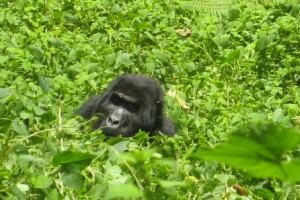 And you will also get to see other animals in addition to the mountain gorillas. 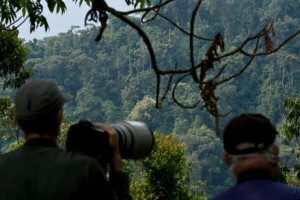 Chimpanzees, forest elephants, butterflies and several species of birds are can all be found in Bwindi impenetrable forest and Mgahinga national park. 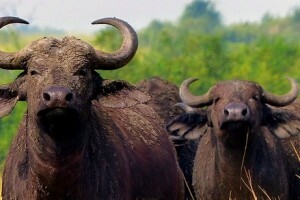 The rugged scenic beauty of western Uganda is something else to enjoy. A re there any restrictions to gorilla trekking in Uganda? 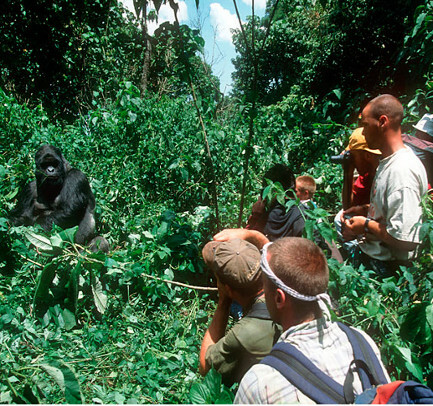 There are some restrictions that Uganda has in place with regards to gorilla trekking. These include: No flu, coughs or colds, not diarrhea problems, reasonably fit, and a minimum age of 15, no feeding the gorillas, no dumping trash anywhere near the gorillas. For some people the cost of the permits might bring about some budgetary constraints that restrict them from enjoying this amazing adventure. Gorilla permits cost $600 in Uganda, and $1500 in Rwanda. 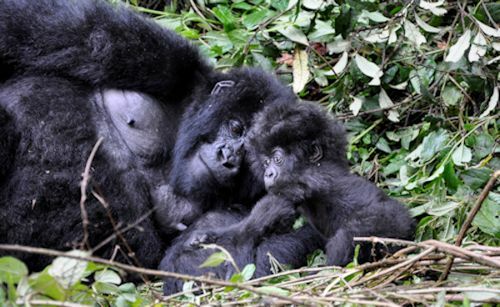 These are the two most popular mountain gorilla tourism destinations in Africa, and the world. 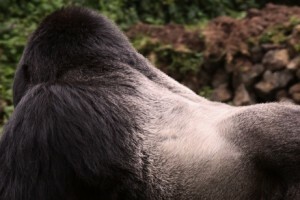 There are a number of lodges in the mountain gorilla area in Uganda. There is something for everyone, from four star lodging for those with a desire for maximum comfort and the ability to spend and good low budget lodging for those hoping to cut costs. How do I get to the gorilla locations? You can get on a bus to Kisoro district in South Western Uganda, and when you get there; use public transportation such as a taxi to get to the gorilla locations of Bwindi or Mgahinga. The best thing to do however, is to get in touch tour operators such as us and have plan your gorilla adventure trip for you. 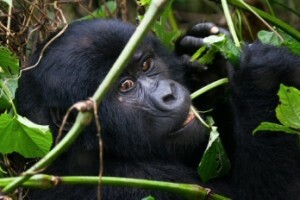 We do hope you enjoy you gorilla trekking trip in Uganda.